Now that school is back in session, many students are still wondering if their absences will affect them. Seniors are especially worried about the absences being used against them towards their progress to graduation. The note must include the reason for the student not attending school, and be turned in to the attendance office. Absences will still be marked, but turning in a note like this will determine what type of absence it will be. A turned in note will mark the given absences as excused, if no note is turned in, absences will be considered unexcused. The good news for worried seniors is that their absence during this time will not be affecting their graduation at all. 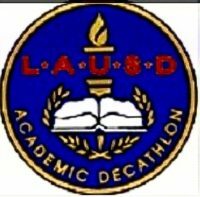 Regarding the period of the strike, the attendance throughout the district fell on average 80%. As a result, many students ended up not attending school at all. “I came the first day, but I felt that the district was using our attendance to benefit themselves,” an SAS senior Monica Sanchez said. 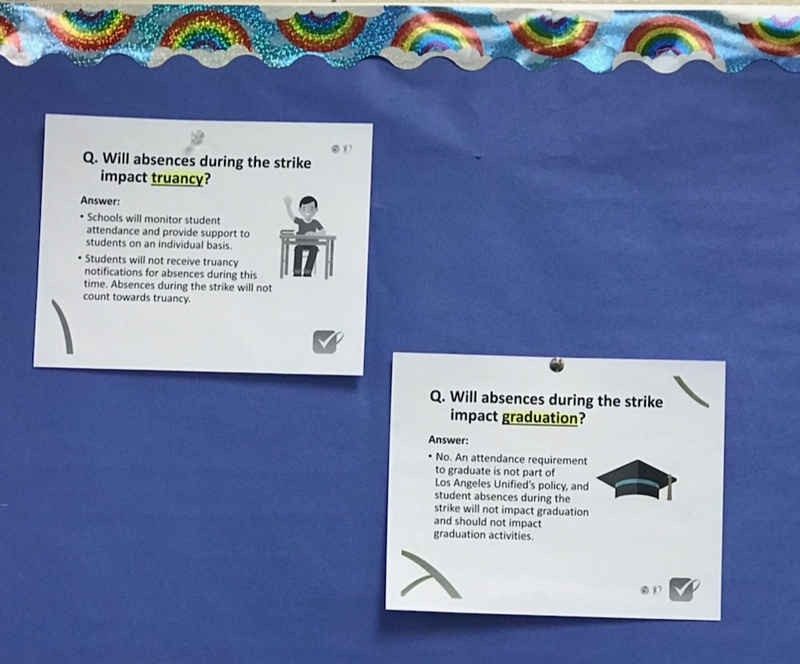 Students should make sure they keep these absences excused and turn in these excused notes. Everyone has heard of the ever so popular Black Friday. Whether through companies and stores claiming unbelievable deals or the fights that ensue and go trending online, chances are that you are familiar with this. Black Friday typically takes place the day following Thanksgiving, this year Thanksgiving celebrated the 22nd and Black Friday the 23rd. Traditionally, around this time, people are used to waking up at ungodly hours such as 4 a.m. or staking out overnight at their favorite stores while another special day passes by. Buy Nothing Day began in 1992 by Canadian artist Ted Dave. The holiday is a response to the root of Black Friday: consumerism. Basic ideals behind consumerism are the beliefs that buying largely and spending money will benefit society as a whole, but more particularly, the economy. Buy Nothing Day is combatting this belief and saying no to the companies and businesses in partaking in this chaotic day of shopping. More than a economic message, it hopes to send a societal message, that it isn’t necessary to feed into this large consumption of goods, which can more often than not result in accidents. Mostly every year on Black Friday, there are reports of fights and trampling amongst people trying to buy these on-sale items. Regardless of which you will be taking part in, make sure to keep yourself safe this shopping season. 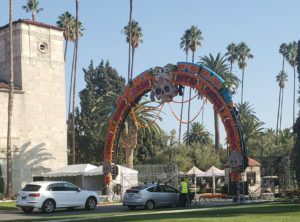 Hollywood Forever cemetery will be hosting a Día de los Muertos celebration . This year’s event will focus around the mother of the moon, stars, and sun, Aztec goddess, Coatlicue. She is the representation of both the womb and death, creating life and welcoming those being to Death later on. The event, celebrating the Mexican traditions of honoring the dead will take place Oct. 27 from noon to midnight. General admission is $25 and seniors and children under 4 are free until 4 p.m. The event will have street vendors from around Los Angeles, and will also offer traditional Mexican food. Arts and crafts vendors will also be scattered throughout. Make sure to come dressed in your best Day of the Dead attire, because there will be a costume contest. Altars built by families to honor loved ones will be featured throughout the cemetery, which will be judged and awarded prizes. A ceremonial procession will present Aztec blessings and more from 2 p.m. to 2:30 p.m.
A focal point of the event will be the performances. There are 5 different stages and throughout the day have many different theatrical as well as musical performances. All day round, Aztec ritual dances will be taking place with dancers dressed fully in traditional costumes. There will also be smaller performances such as Metralleta de Oro, Ballet Eterna Juventud, Los Coyotitos, and many others including Panteón Rococó. Koreatown will be bringing the cultural vibrancy this week with it’s 45th festival. 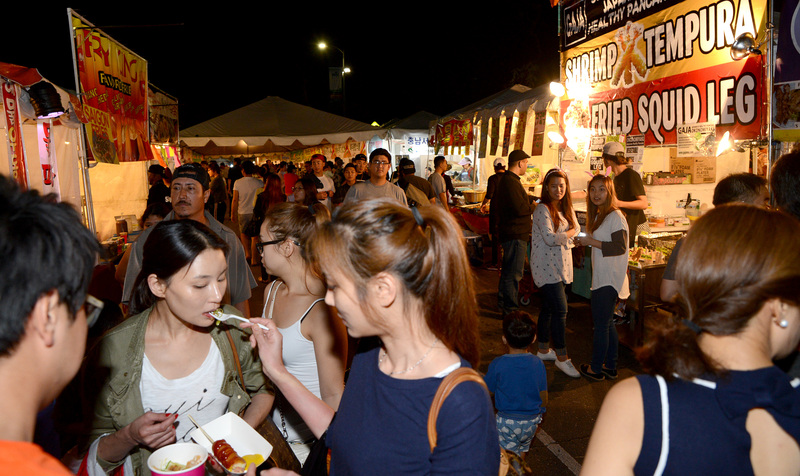 The LA Koreatown Festival will be running from Oct. 4 to Oct. 7 at Seoul International Park. Get a taste of Korea with vendors selling foods such as Mung Bean pancakes, Korean BBQ, rice cakes, and many more delicious foods. There will also be vendors with traditional Korean crafts, K-beauty products, and other Korean goods. Admission is free for the event, but there are also paid performances you can attend. Experience a new culture through this annual festival and be sure to have a good time. Performance tickets can be purchased online and all performances will be from 8-9 p.m. Performance information and the address will be below.